The health care industry is by its very nature a tough industry to work in, not only is there not enough money to go around resulting in more overworked staff, there is also the emotional burden of working around seriously ill and dying people. People who work in hospitals or medicine generally face a lot of pressure to perform to a high level, and many don’t feel supported or respected. 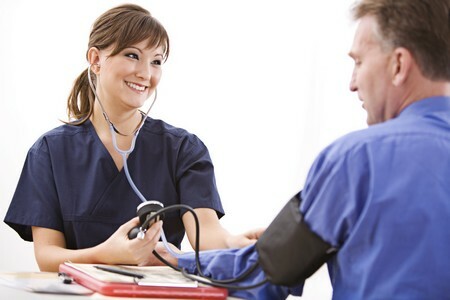 Being a nurse assistant is a rewarding choice, and can be a great job, but there is no point hiding the fact that there are also significant disadvantages that can affect your working life and home life. Understanding the disadvantages and finding solutions that work for you are the secret to a happy career. Being aware of the problems you’ll be expected to cope with means you’ll be able to seek help and insulate loved ones from stress more effectively. The typical nurse assistant is a person who has a lot of empathy and feels a great sense of wanting to help others. Unfortunately, this type of person can also be highly susceptible to the negative consequences of very emotional experiences. Sick children, patients dying, terrible injuries and loss of limbs in patients are never going to result in normal emotions, either the patient or their family is going to suffer greatly, and this can be felt by nurse assistants. To be clear, transference of emotions or being affected by the emotions of another person is normal, and you can’t change how you’ll feel. Actually if you had no emotion at all employers probably would be wary of placing you in positions of trust with patients. The issue isn’t that you’ll be affected by the condition of your patient; the issue is how you deal with trauma. Remember, your feelings are normal, but as a professional in the medical team you are expected to identify when you are feeling affected, and seek advice from colleagues or counselors so that you can continue to work. It is important to remember nurse assistants have a very demanding job, and asking for help is a mature response to patient trauma. Within the hospital hierarchy there are many who see nurse assistants as having less value than nurses or doctors. The problem isn’t restricted to nurse assistants; janitors, ambulance crew, nurses, receptionists all face the same problem and is a problem caused by the need to ensure everyone knows their role and carries out the duties assigned to them. This does mean that some of your colleagues will show signs of not respecting you, and this is unfortunate but sadly normal. To deal with the problem remember that every employer has a complaints procedure. Wages of nurse assistants are often quite low in comparison with other jobs that require shift work and you might feel you deserve better pay, however in most cases the pay scale for nurse assistants across the nation is similar. Usually experience and qualifications determine how much above the average you’ll get paid. It may be possible to negotiate a higher rate, but outside of private practices this might be difficult. Instead, try to think about what you can do to increase your value to the business and then request a wage review.